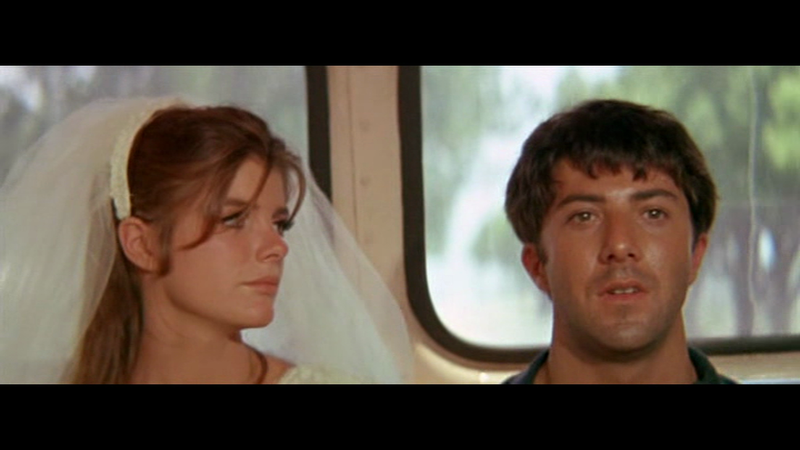 This entry was posted on January 28, 2015 at 6:32 am and is filed under FILM with tags Andrei Tarkovsky, Buck Henry, Dustin Hoffman, Katherine Ross, Mike Nichols, Mirror, Scultping in Time, Sir Ben Kingsley, Spalding Gray, The Graduate, The Player. You can follow any responses to this entry through the RSS 2.0 feed. You can leave a response, or trackback from your own site. I always enjoyed the ambiguity of that ending. Any ambiguity at all in fact…its so rare. Legend is, Oliver Hardy’s famous looks into the camera were deliberately filmed at the end of the day. when Ollie was eager to get to the golf course. As the crew fussed and the sun went down, those looks of exasperation and self-pity became more real. But they’re not being uncertain Dustin and Katharine; they’re being uncertain Ben and Elaine, if they are any sort of craftspeople at all, which they are. I would always have assumed they were completely in character here, especially given what a massive Methodhead Hoffman was. What Nichols does here is a trick Warhol had discovered several years earlier: Point the camera directly t the subject, tell them to “do nothing” and they will automatically emote, in spite of themselves. Hannah: no no no. 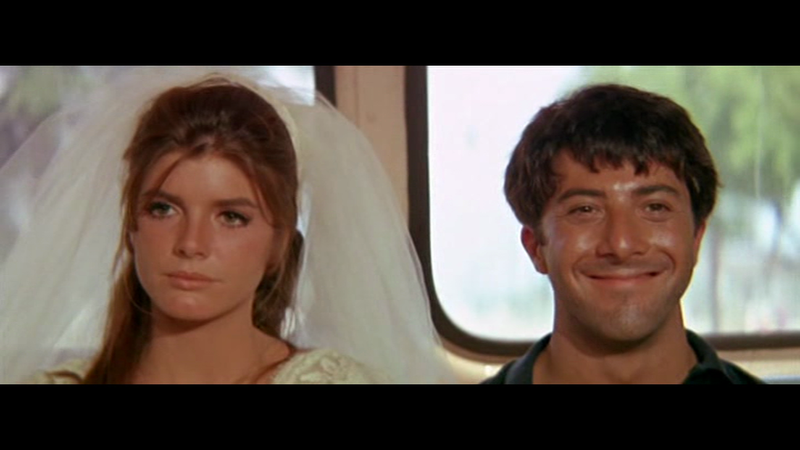 The actors were given the scene but understood that it would end on their happy faces. 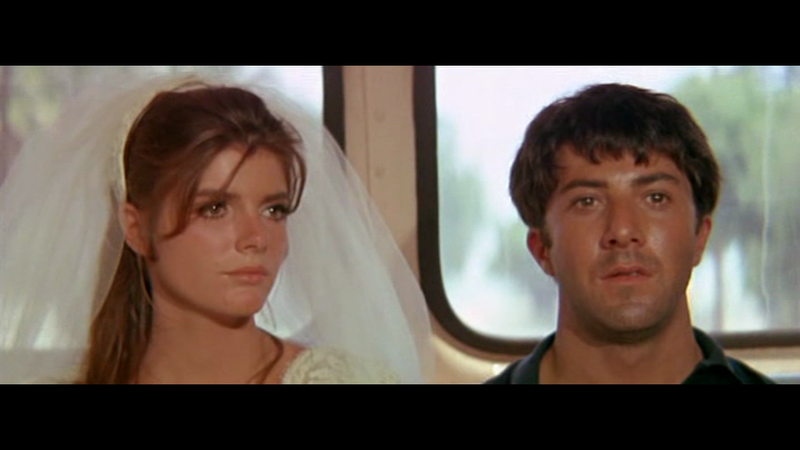 While like true professionals they would never break scene before “cut” is spoken, their uncertainty (according to Buck Henry anyway) is genuine because the scene has failed to end. The thing about actors is, if you don’t give them anything to do, they don’t do anything. And Nichols found a way to exploit that for dramatic purposes. On a commentary or interview somewhere, Mel Brooks says that Hoffman was the original casting for the Nazi playwright in “The Producers”. 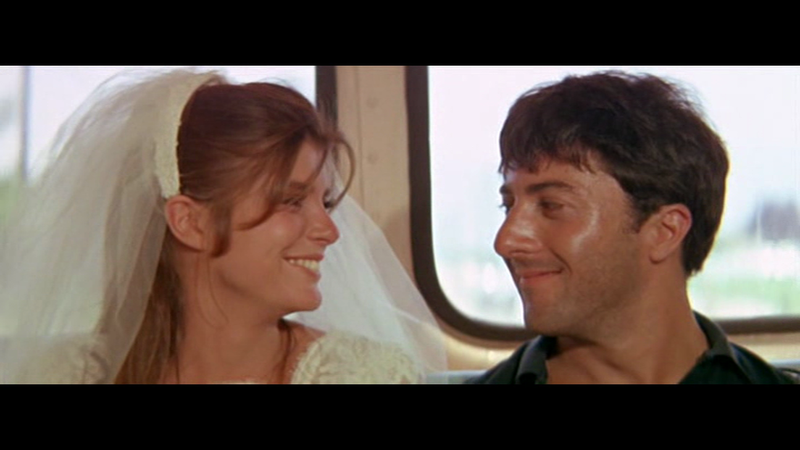 He was surprised when Hoffman begged off to do “The Graduate”; he knew about the project thanks to Anne Bancroft and couldn’t imagine Hoffman in the part. Now it’s probably harder to imagine young Hoffman in a Brooks film. That would certainly have been interesting! 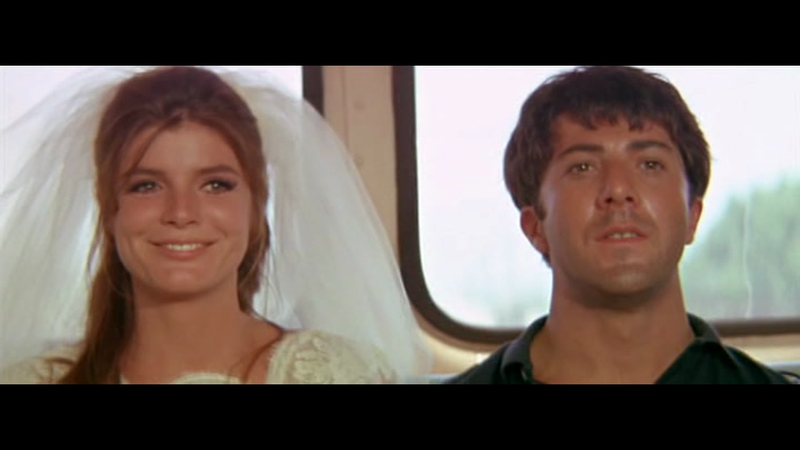 Of course Hoffman was ten years too old for Benjamin and Bancroft ten years too young for Mrs Robinson, which may have helped audiences accept the relationship, at least subconsciously. What does Buck Henry know? 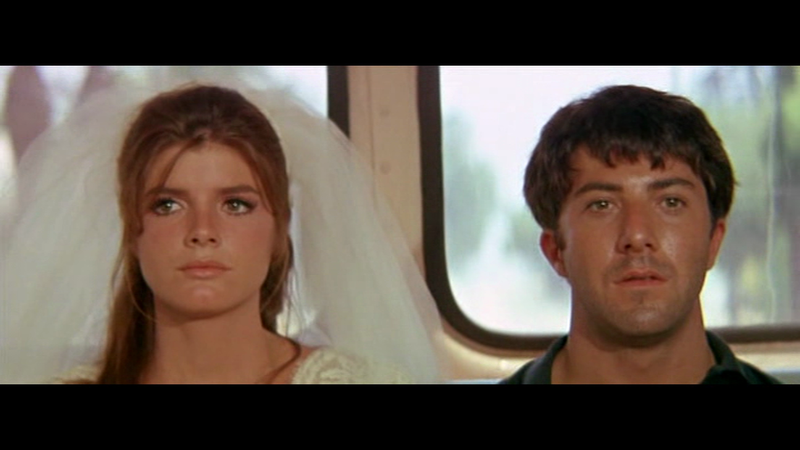 I’m totally with Hannah on this.The Graduate was full of unscripted improvisations, like Hoffman slowly banging his head against a wall. It’s not abuse to keep a camera rolling and see what happens, it’s fun. Sir Ben should lighten up off camera. I always hold the shot a few seconds in case anything evolves. But I wouldn’t hold for a minute to watch them squirm… unless there was some strong reason… and I’d think very carefully about it. 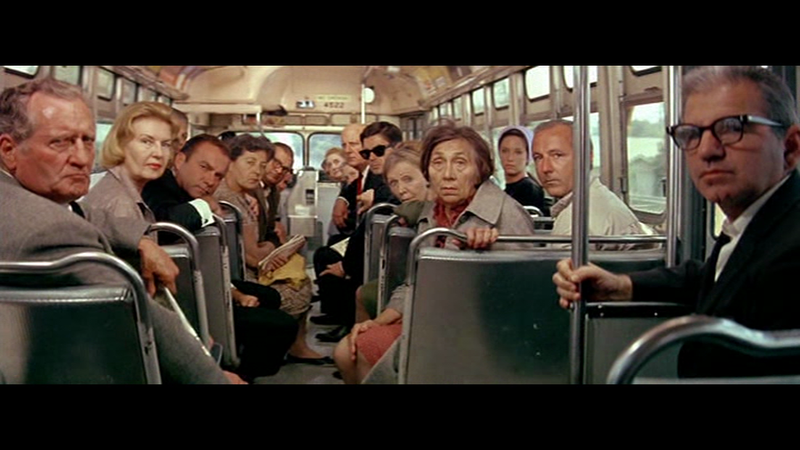 Buck Henry is in the film, he wrote the film, and he knew what went on. I don’t think he sees it as a dirty trick, that’s purely the Kingsely interpretation. 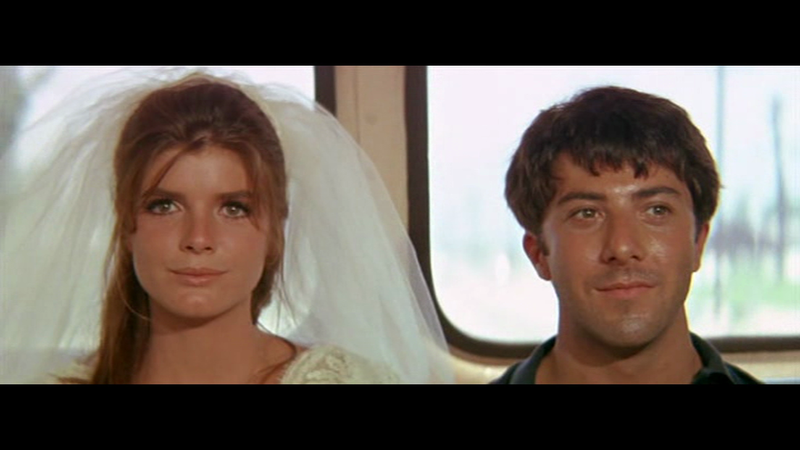 Wouldn’t Brooks have known about The Graduate even before Bancroft? He was already working with Buck Henry on Get Smart from 1965. True, but who knows how much news they were sharing? Opposite coasts at that point. The casting process was fascinating. I forget who was considered for Mrs R but Ben was nearly Robert Redford and they were thinking Doris Day and Ronald Reagan as perfect for his parents. Hoffman’s casting freed up their thinking. Nichols realised Redford was wrong for Ben when he asked him “Have you ever struck out with a girl?” and Redford didn’t know what he meant, which meant Redford didn’t get the part. Katherine Ross experienced puzzlement and dismay when she saw the miniscule and unkempt Hoffman, initially mistaking him for the tea boy. There were hundreds of potential Mrs. Robinsons, including Angela Lansbury, Ava Gardner and Jeanne Moreau. Apparently Gene Hackman was considered for Mr Robinson – he and Hoffman had been roommates at the Pasadena playhouse. Ah, it turns out Buck Henry came on board later to revise Calder Willingham’s script so I was probably dead wrong to imagine Brooks had the inside track. Henry never saw CW’s draft, and started from the novel. So he was appalled when CW demanded and got a screen credit. He would have been involved prior to Bancroft’s casting, I’m sure. Ah, so it turns out I was wrong about that too! I just won a gift voucher in a quiz, though, so if anyone has any questions about songs that were banned from radio 1 during the first Gulf War, feel free to drop me a line. Charles Webb and his wife/unwife, Fred, seem like great people. A flip on the whole camera-running thing. There was a book on “The Battle of Britain” and the director revealed he’d tell some actors to slowly build to something at the end of a scene, then in editing he’d cut before the end. 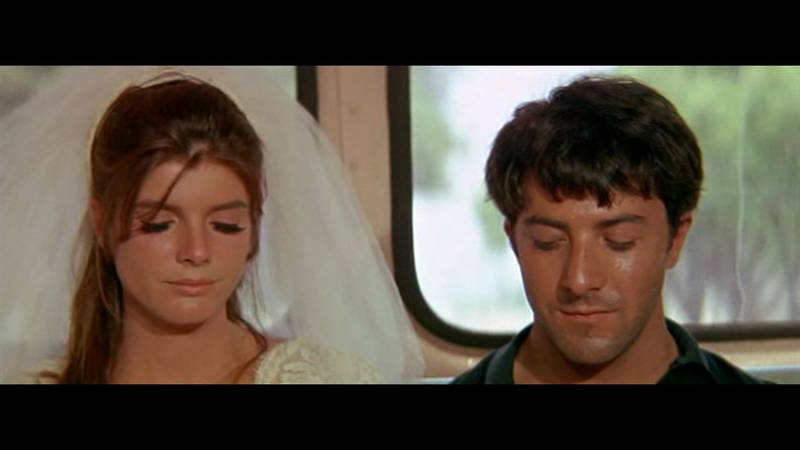 It was a trick to get overly showy actors to rein it in for the shots he did use. Chas. Webb DID write a Graduate sequel, didn’t he, or did he only moot it? The Battle of Britain idea is brilliant. Olivier is still ropey in it, but he was very ill. Actors OUGHT to stay in character until “Cut!”, but if they haven’t been given any sense of where the scene is heading past a certain point… what we get is a blend of the actors’ emotions and the characters’. They may have suspected that this uncertainty was exactly what Nichols wanted to capture (that may be in fact what Hoffman’s grin means) but they aren’t SURE. Sure, Hoffman can improvise, but what is he going to improvise here? It’s THE END OF THE MOVIE!